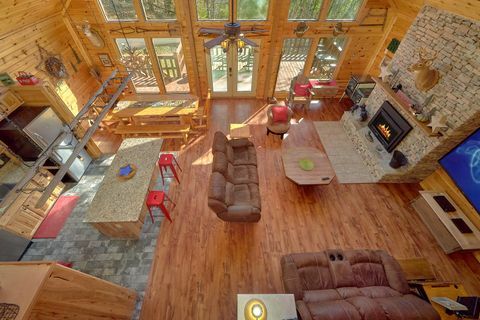 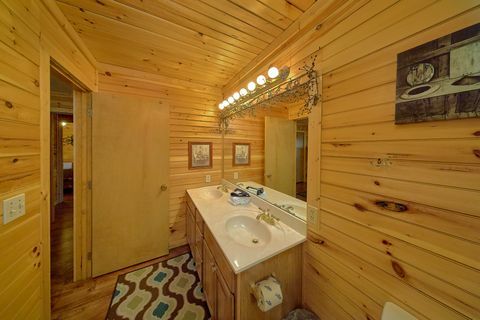 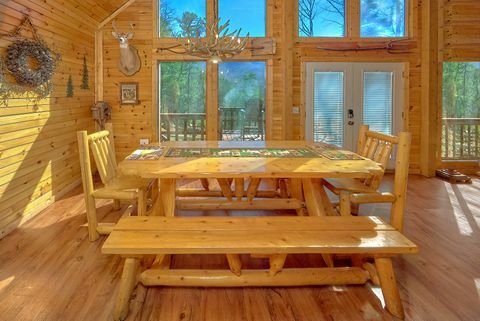 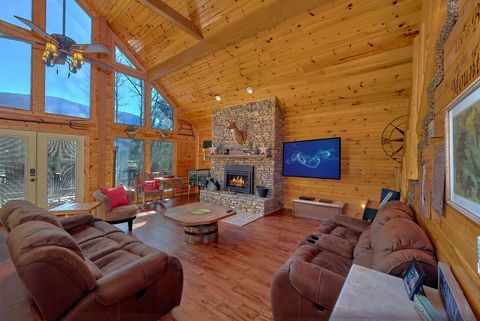 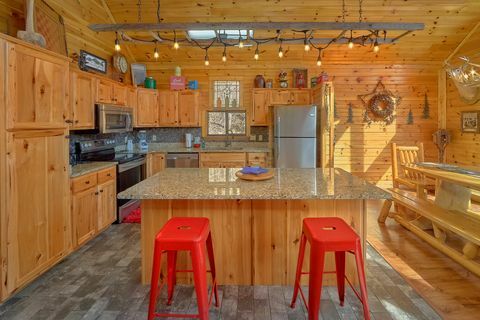 Located in a serene forest setting, you'll find "Simply Incredible," a beautiful 3 bedroom cabin in the Smoky Mountains. 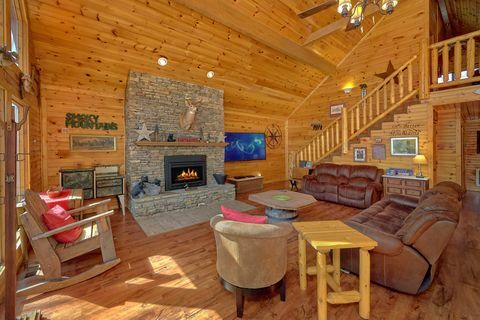 This luxury rental sits just outside of the Wears Valley city limits on 2 private acres, so you can be sure this rental is ideal for a relaxing getaway. 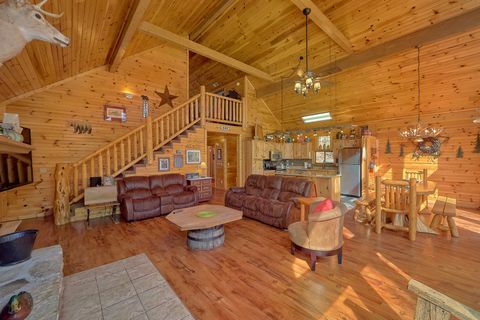 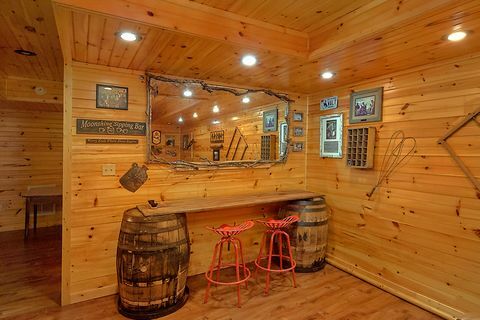 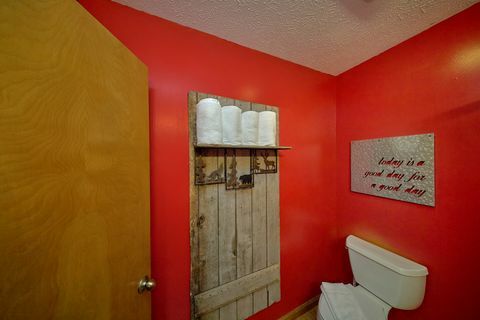 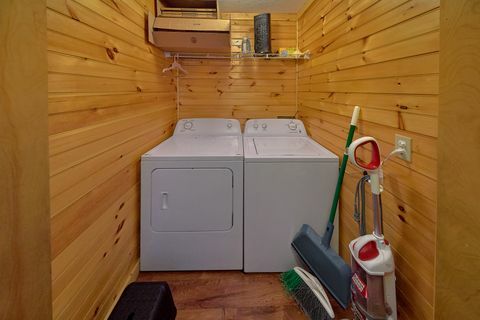 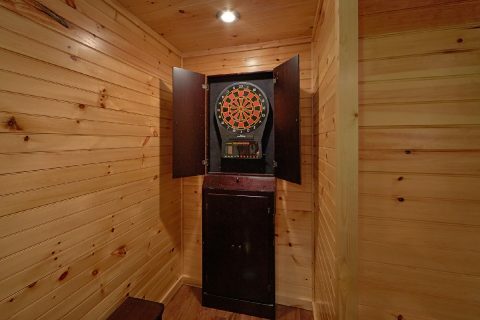 Better yet, this cabin also keeps you close to all the action in nearby Downtown Pigeon Forge. 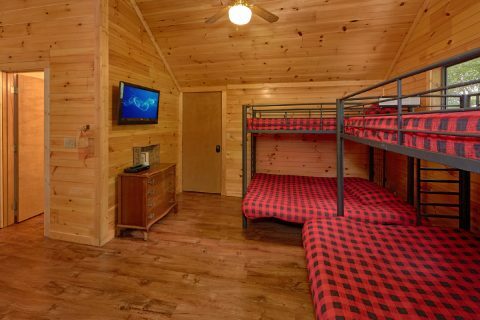 Exciting attractions like The Island, The Old Mill, and Dixie Stampede are less than 9 miles away from this premium cabin. 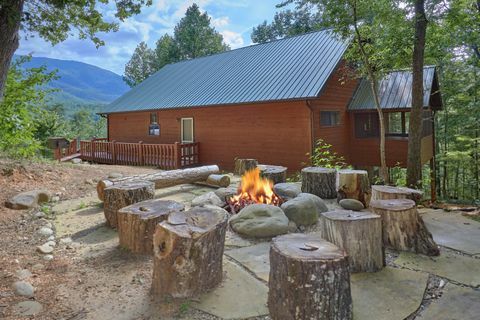 Additionally, "Simply Incredible" is only 4 miles from the heart of Wears Valley and only 7 miles from the Metcalf Bottoms area of the Great Smoky Mountains National Park. 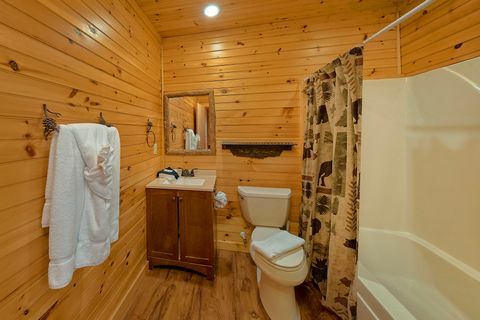 From here, visitors can easily access beautiful sights like The Sinks waterfall and the historic Cades Cove Loop. 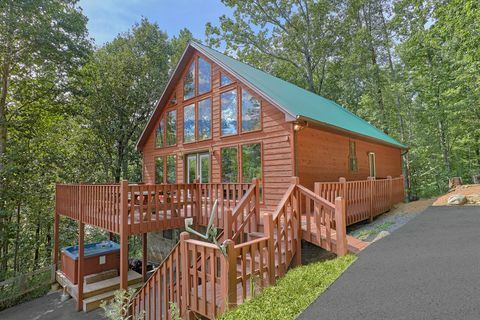 Visitors can also reach nearby Gatlinburg via roadways in the national park. 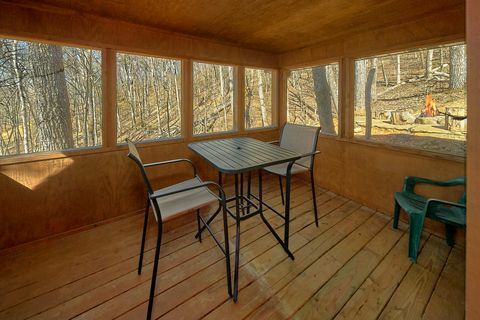 Back at your cabin rental, you can enjoy nice views of Cove Mountain from your rental's deck while you kick back in the great outdoors. 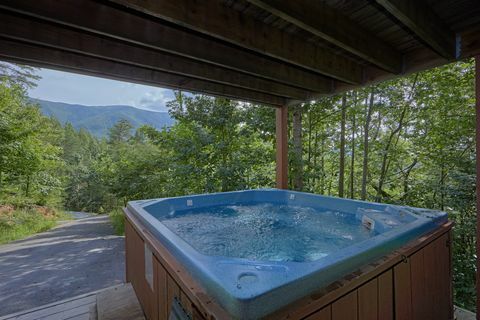 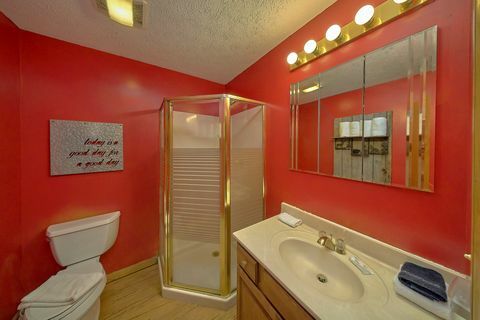 For relaxing in style, you can always enjoy taking a dip in your rental's two outdoor hot tubs. 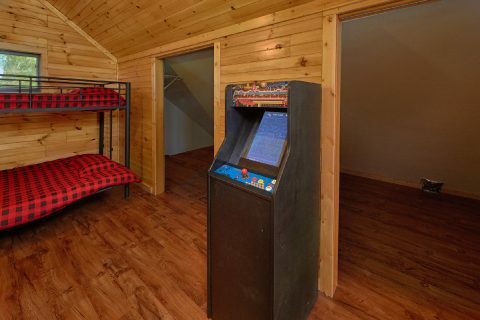 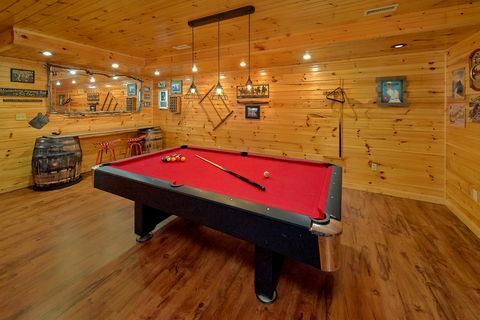 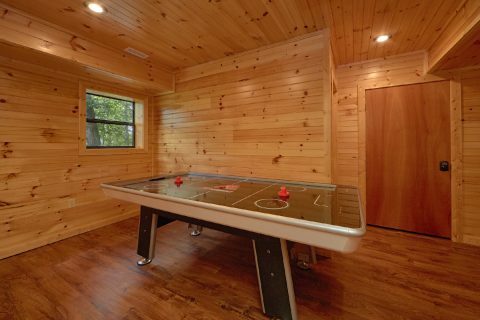 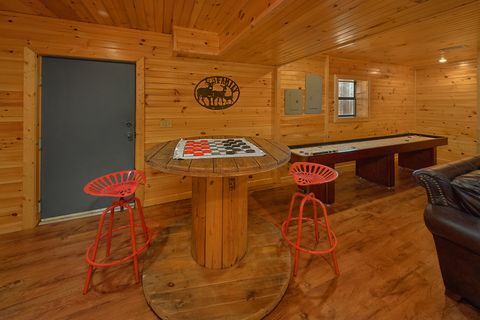 With your cabin's game room, you can try to set the high score on the arcade game or just enjoy some friendly competition on the pool table, foosball table or air hockey game. 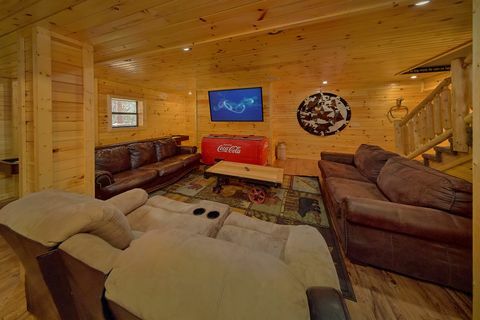 You can also watch your favorite movies and shows in this cabin's theater area complete with a 60" flat screen television and a bar area. 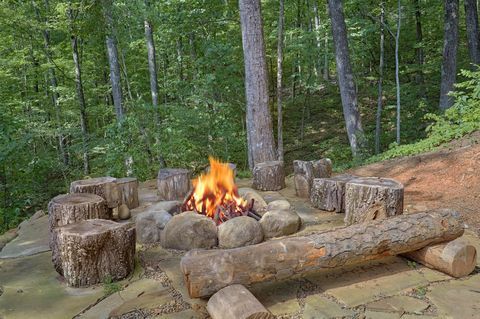 With this cabin's outdoor fire pit, you can enjoy a fun night by the fireside while you marvel at the beauty of the stars above. 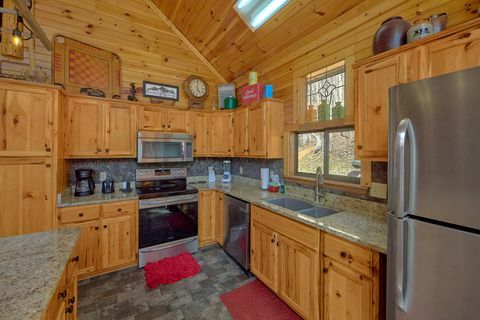 Your cabin also comes complete with practical amenities like a full kitchen and charcoal grill, so you can prepare tasty meals for your family and friends during your stay. 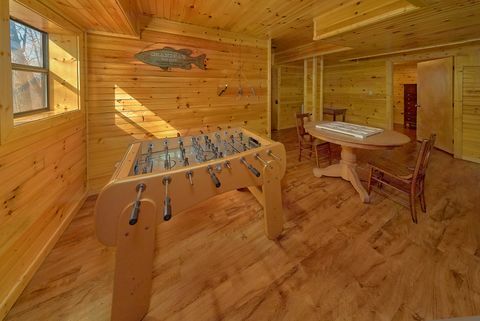 "Simply Incredible" also provides with WiFi Internet. 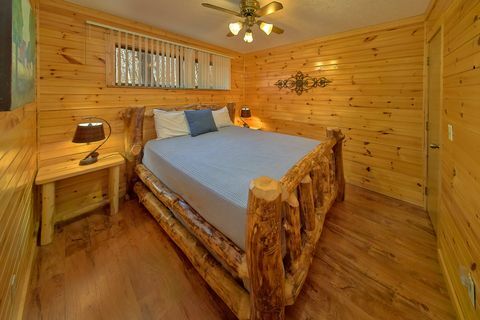 After a rewarding day of hiking in the mountains or seeing attractions on the Pigeon Forge Parkway, you'll love getting a great night's rest in this rental's comfortable accommodations. 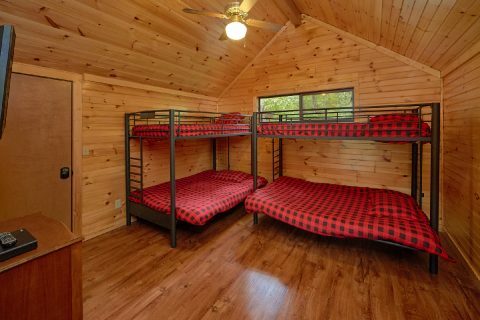 Altogether, this rental provides a king bed, 2 queen beds, and 2 sets of bunk beds with a twin size bed over a full sized bed. 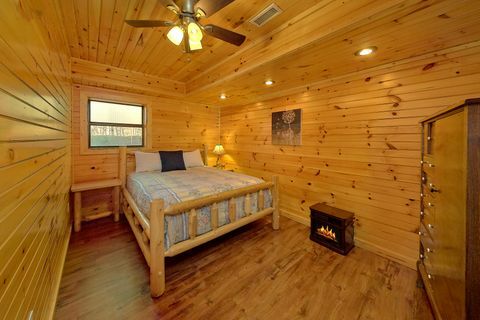 to sleep up to 12 guests in comfort. Book this luxury secluded cabin in Wears Valley today to save 15% on your nightly rate with Cabins USA today!